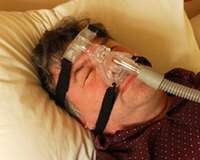 Snoring and sleep apnea (apnoea) are symptoms of a dysfunctional breathing pattern. A dysfunctional daytime breathing pattern will carry over into night-time presenting a range of possible symptoms including snoring, sleep apnoea, insomnia, restless legs, night-time trips to the bathroom, bruxism (teeth grinding), and night-time thirst. It is important to realise that if you snore you are potentially breathing 2–3 times the physiological norm. In short you are massively over-breathing. For anyone with a partner who snores this should be obvious, but it seems to be overlooked by many sleep specialists whose primary focus is the apnoea, or stop-breathing phase of the cycle. Perhaps this is why snoring and sleep apnoea treatments focus on devices or procedures (CPAP, Bipap, mandibular splints and – as a last resort – surgery) to open up the breathing tubes. These interventions are at best uncomfortable, at worst painful and in most cases, more disruptive than the symptoms they aim to fix. According to our in-house clinical assessments, all clients who present with snoring and sleep apnoea show signs of day-time dysfunctional breathing and are in fact over-breathing. A 1995 study also confirms this finding.1 Loud snorers are potentially breathing more than10 litres of air per minute. Paradoxically this can reduce oxygen to brain and body tissues. The image below demonstrates how snoring (over-breathing) in your sleep can reduce the oxygen supply to your brain. No wonder you wake up tired and groggy! 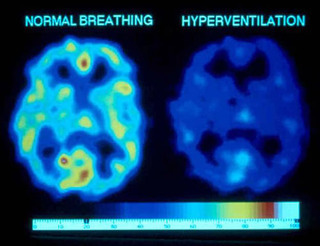 The image on the left-hand side shows normal oxygen saturation levels in a healthy breather’s brain. The image on the right-hand side shows the dramatic reduction in the flow of oxygen to the brain that can occur at repeated intervals through the night in a snorer or sleep apnoea sufferer. This may explain studies that show a strong link between loud snoring/sleep apnea and the likelihood of developing Alzheimer's in later life. Many of our clients experience a significant reduction in their snoring and improvement in sleep within the first few sessions of the programme. As the breathing pattern normalises, restful snore- and apnea-free sleep can return. Read on to better understand the physiological basis for this. After my second day with you 8 weeks ago I have never and will never need the CPAP again, I feel so much better and get a really good night’s sleep. You can read an article in the New Zealand Hearld by John Roughan: As easy as drawing breath, about a tip he learned on a Buteyko course he did in 2006 that helped control his sleep apnoea. He said the suggestion to sleep with a strip of tape on his mouth helped him control his sleep apnoea. From the very first night he woke the next morning feeling fresher than he could remember. In the column John says “I have been using the tape ever since and may do so for the rest of my life.” He also rightly points out that it is not a cure – and if he forgets the tape the apnoeas return. John’s account so eloquently highlights that the underlying cause of his sleep apnoea was not resolved by putting a band aid over the problem. 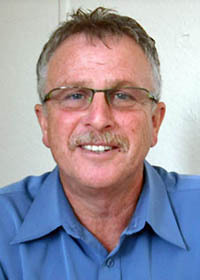 Breathing through the nose is not the full answer to a complex and potentially serious health issue like sleep apnoea. All aspects of the daytime and night-time breathing pattern need to be addressed. The Buteyko programme requires commitment: forty-five minutes of breathing exercises a day for six weeks can help overcome sleep apnoea, reduce the snoring, and make a noticeable improvement to overall health. Hopefully articles like this will encourage some to try this natural drug-free alternative to CPAP machines, mandibular splints and surgery. The solution may be right under your nose. Phone us at the Buteyko Breathing Clinic, Auckland on 09-360 6291 if you would like to book a private consultation or course, or to learn more about the programme.